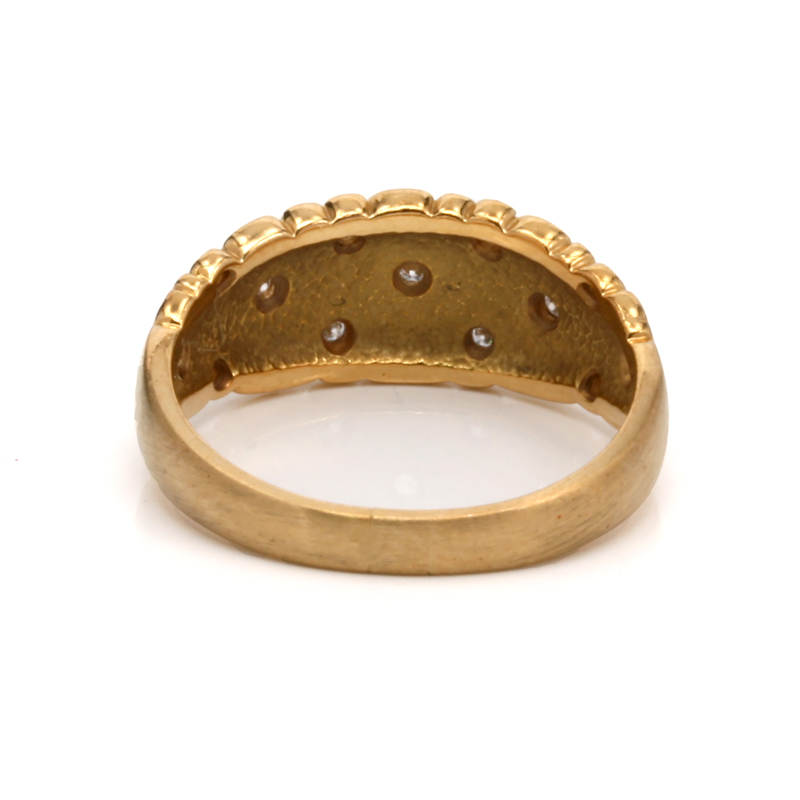 Product code: R819 Categories: Sold Items, Sold Rings. Alex Sepkus is a New York jewellery designer who created some really amazing jewellery and here we have an original Alex Sepkus diamond ring in 18ct yellow gold. Designed in his signature style, the ring is set with thirteen diamonds set amongst a really incredible pattern. So unique and special, there is nothing quite like a ring designed by Alex Sepkus and one that is sure to be admired and commented on.